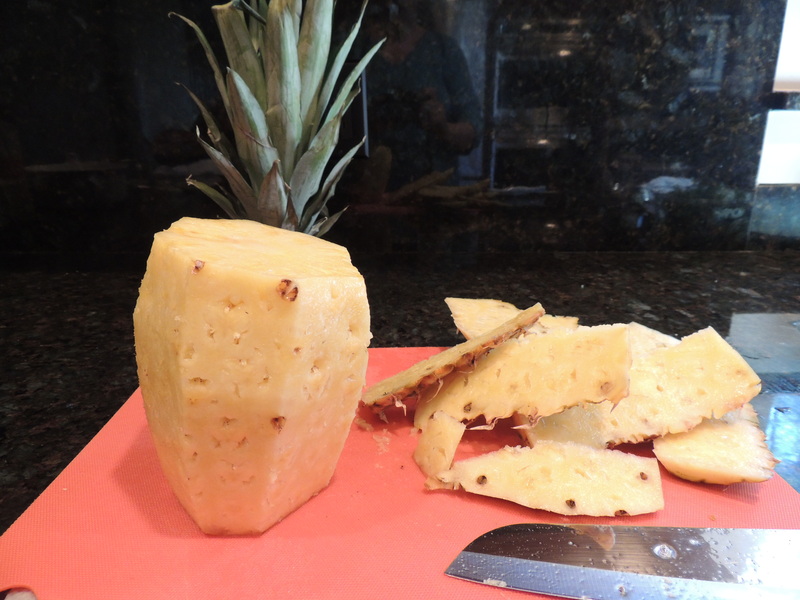 Here’s a primer on How to Peel and Cut a Pineapple. A pineapple ripens from the stem end up. Look for one that has a golden color; the more golden top to bottom, the more even the flavor. 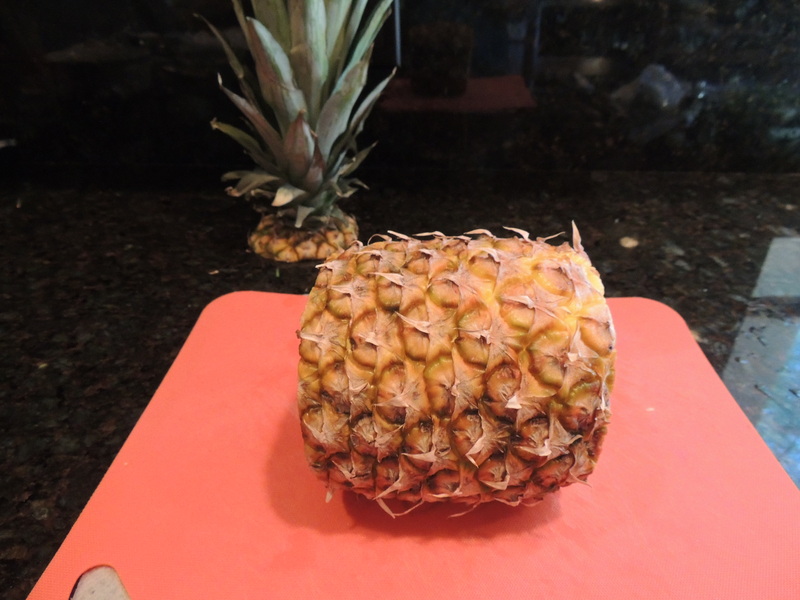 The leaves on top should be green and firm and the pineapple should be firm, but yield slightly to a little pressure. The aroma coming from the base of the fruit should be sweet. If you detect a vinegary odor and/or the pineapple is very soft, it’s overripe. 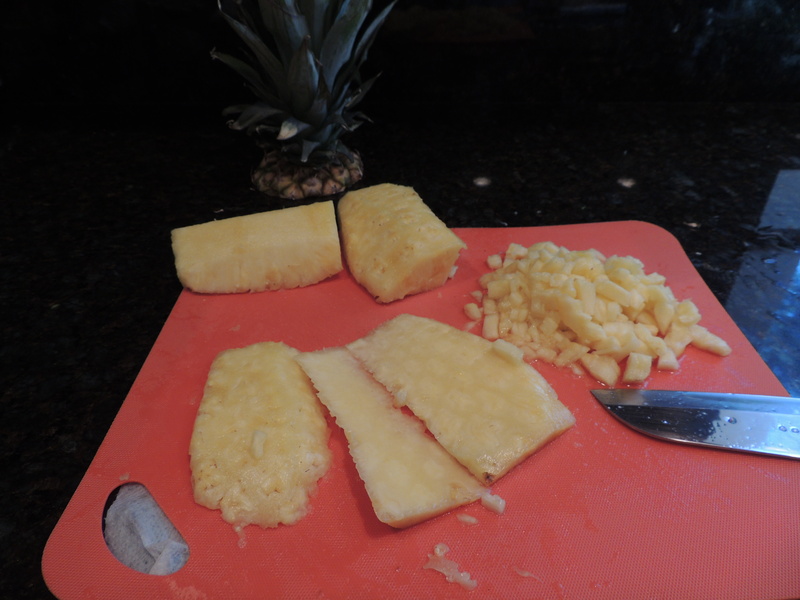 Place the pineapple on a cutting board on its side. Slice off the top and the bottom. Reserve the top to use as decoration on a fruit platter. 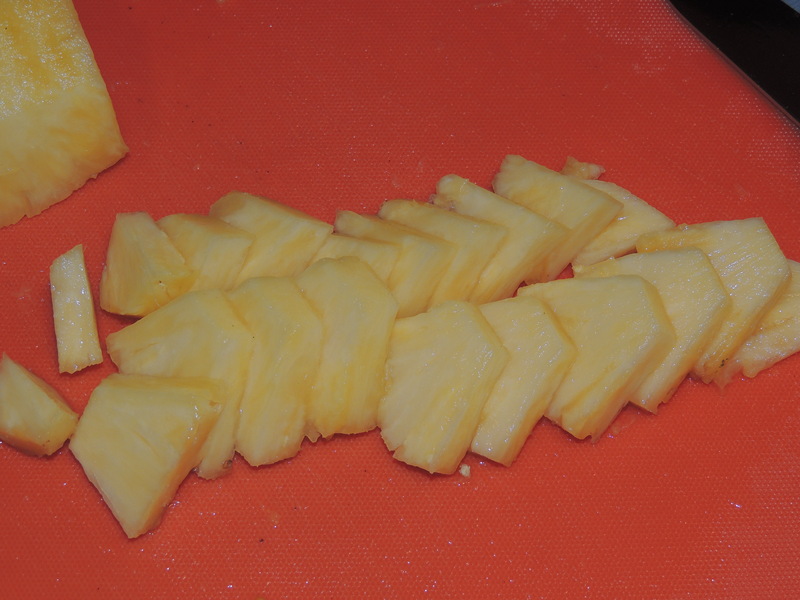 Stand the pineapple up and slice down the sides with a sharp knife all the way around. Look at the first cut to make sure you’re slicing thick enough to remove the eyes. Remove remaining eyes with a paring knife. 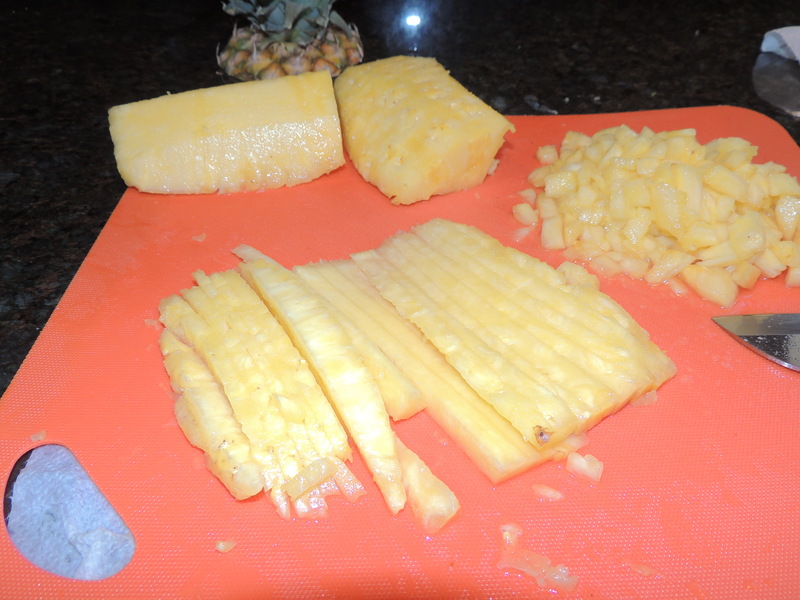 Slice the pineapple into quarters lengthwise and then remove the hard cord slicing straight down each quarter. 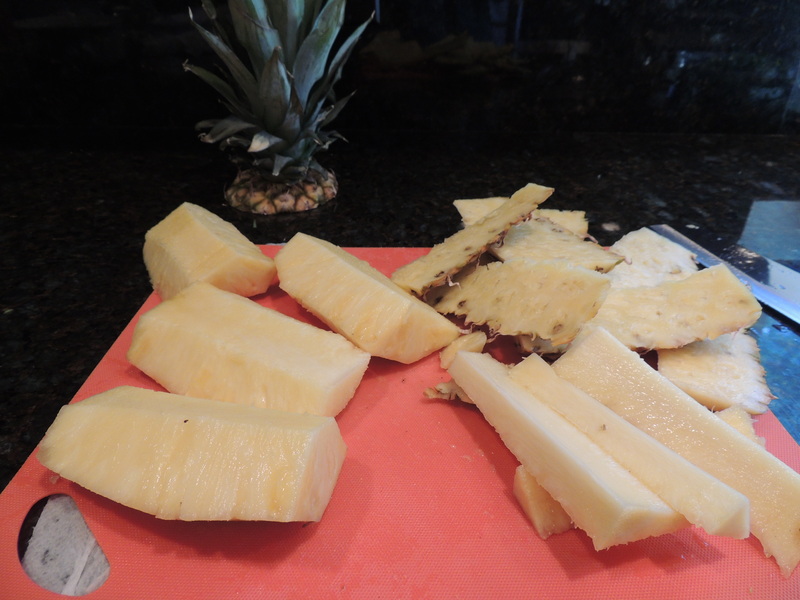 To dice the pineapple, cut each quarter into thin slices lengthwise and cut the slices into thin strips. Turn and cut the strips into a dice. 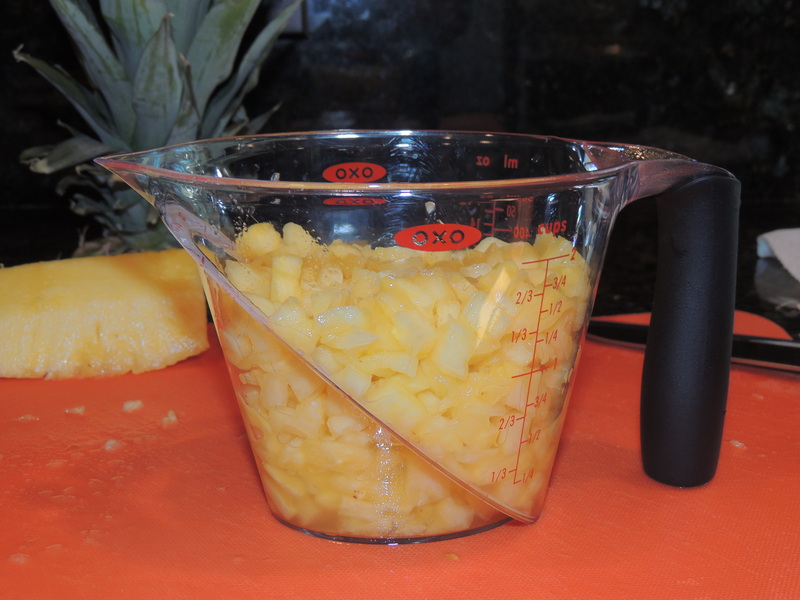 A whole pineapple makes about four cups diced pineapple. 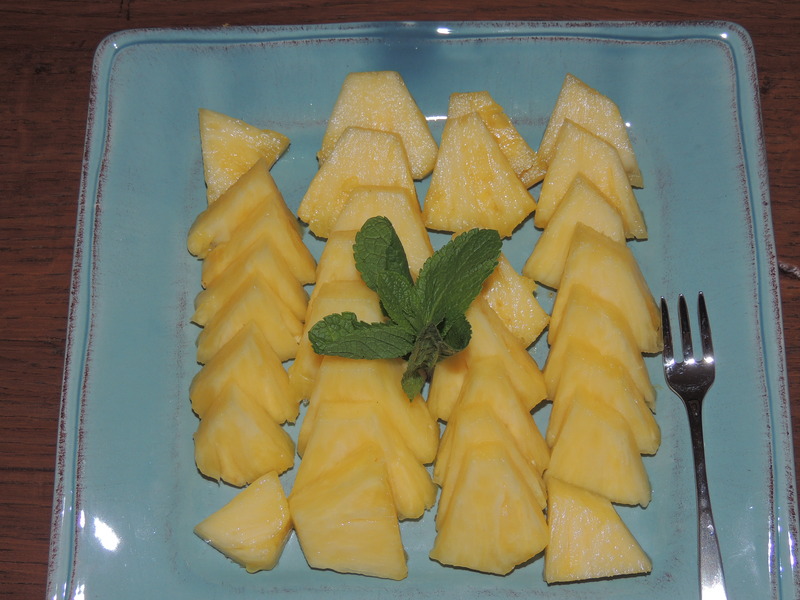 To cut bit-size pieces for a fruit platter, cut each quarter in half lengthwise and slice across. See our recipe for Grilled Shrimp Bites with Pineapple Salsa.